Demarage Sailing Centre offers great and unique sailing trips on board of our 67 ft. (20.42 meters) Global Challenge sailing yacht. As the only sailing school in Holland, we offer a complete package for gaining sailing experience and training trips introducing you to this complete and fully equipped ocean race sailing yacht. Sea sailing trips to England, the Baltic Sea, Iceland, Azores, Mediterranean, Canary Islands and Caribbean, are definitely possible. 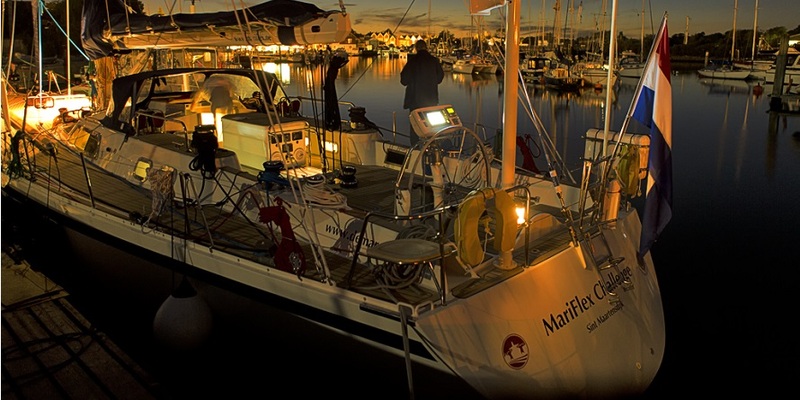 The Mariflex Challenge, our latest acquisition in 2013, has an illustrious past and has participated in the Global Challenge race. This was a round-the-world sailing race organized by Challenge Business and Sir Chay Blyth and started in 1989. The race was held every four years and consisted of a fleet of one-design (or matching) steel yachts. 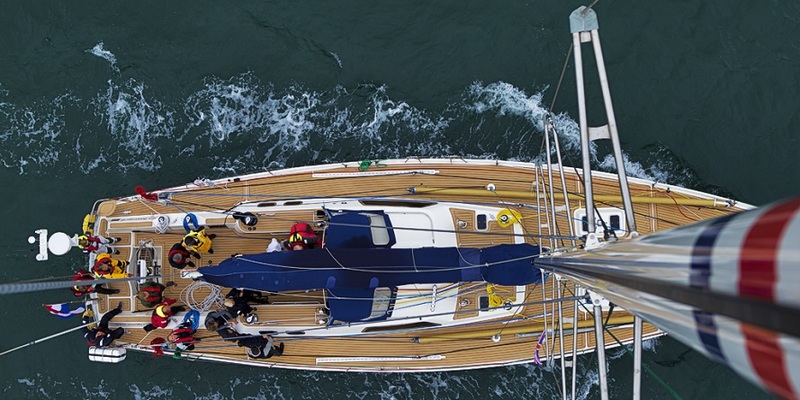 Staffed by amateur yachtsmen and sailors to sail around Cape Horn and the Southern Ocean where winds over 70 knots (130 kmh) are not uncommon. The uniqueness of this sailing race was that these ‘west about’ went against the prevailing winds and currents; often referred to as the ‘wrong side’ route. 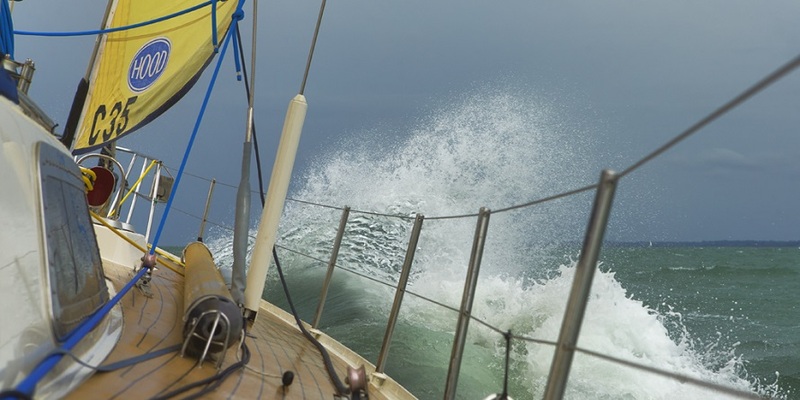 The motto of this sailing race “The World’s Toughest Yacht Race” was no doubt the ultimate sailing challenge for amateur yachtsmen and sailors. Unfortunately, the event was stopped on October 9, 2006 after which the entire fleet was then offered for sale. 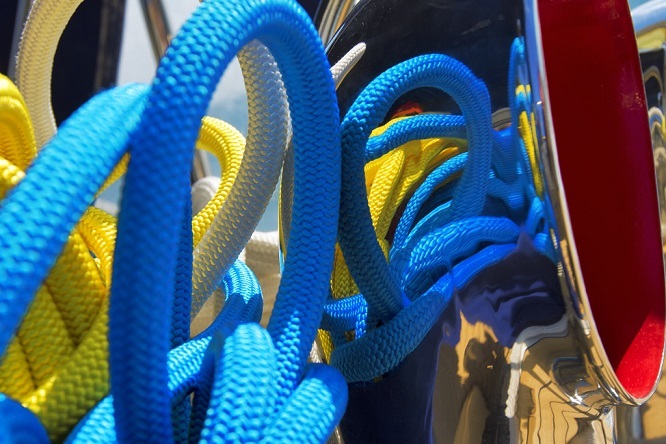 At Demarage Sailing Centre, we have a lot of experience and expertise to offer. We can share a unique sailing experience for all participants. What will make a sailing day for your company so special is that our professional crew by means of coaching, guidance and support, enhances or restores trust in people. We show via various techniques and cooperation (and not pure muscle) the key to success and will transform the participants into a team capable of achieving goals. 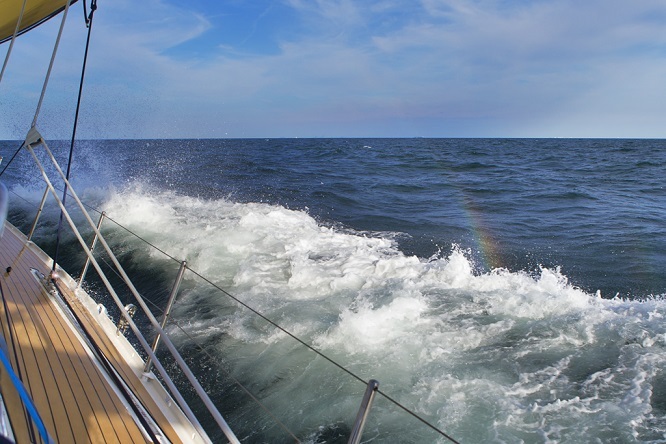 Most of our customers have little or no sailing experience when they step on board and the initial focus is to provide information about the different roles and responsibilities that are distinguishable when sailing with such a large sailing yacht. This yacht is also ideal for the presentation of a new product, a press conference or any other business opportunity. 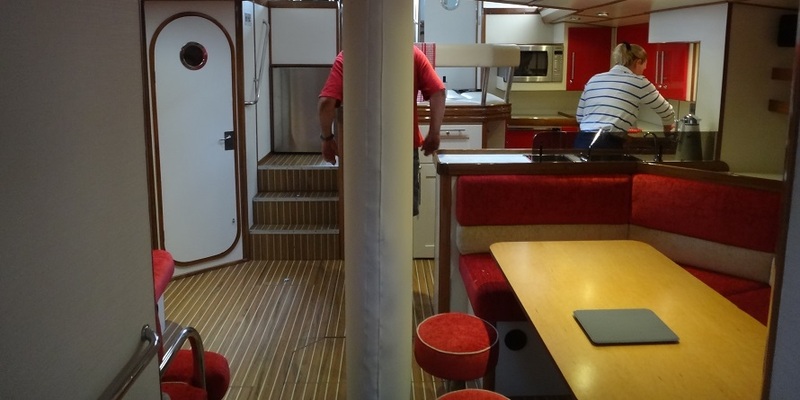 In our spacious saloon we can receive up to twenty people and there may be some time before or after the official part, to sail for a couple of hours. 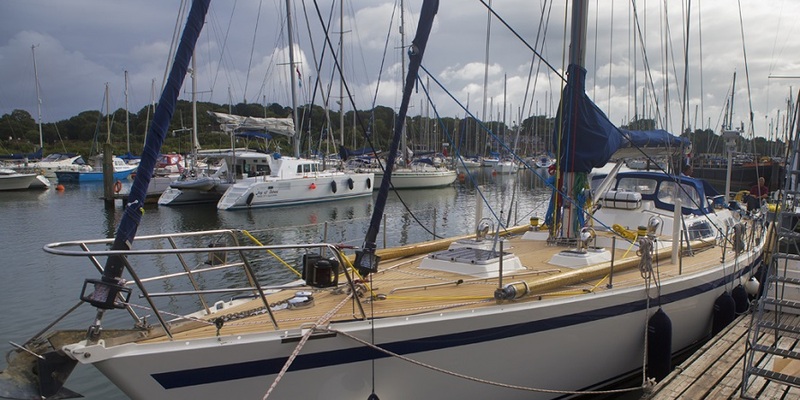 By sailing aboard this ocean yacht, we have the opportunity to present a memorable sailing day for your clients and/or staff; a genuine sail racing experience. 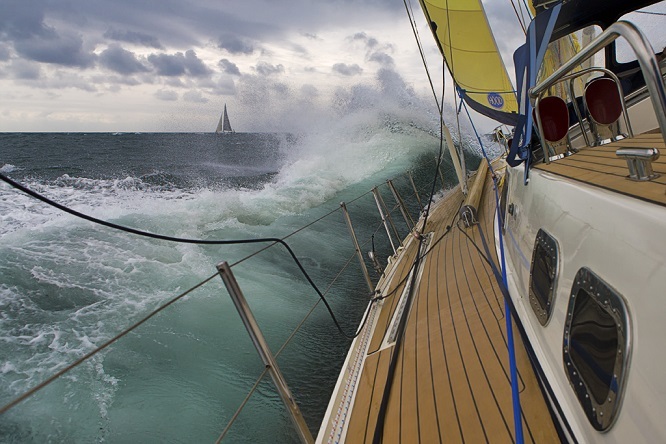 The aim on these days is to give you a feeling of feeling what it is to sail on such a large sailing ship racer. 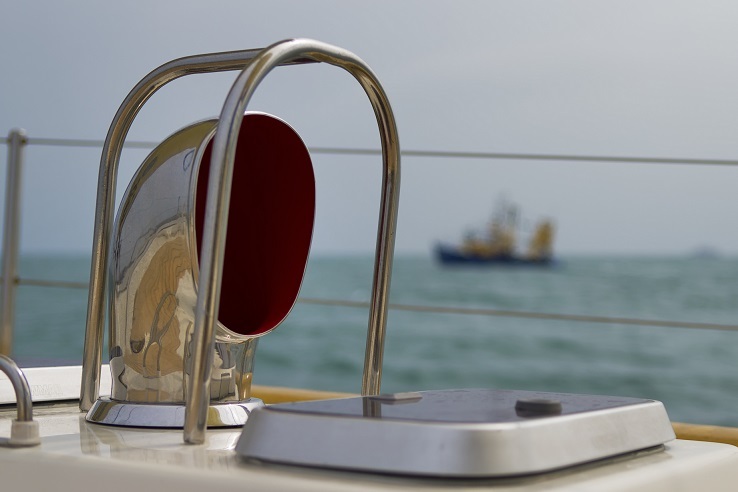 There is professional crew who will sail during the day but they are always willing to demonstrate how the boat works and work with you to gain confidence to sail on this ship.